Eco-friendly and sustainable companies are more in demand than ever, especially with the rising millennial generation. These organizations aim to conduct themselves in a way that will help solve current environmental issues instead of contribute towards them, and they help you to decrease the weight of your own carbon footprint. There are hundreds of these business directories online – to save you some of the hard work, here’s a listing of a few of the best. Greenopia is one of the largest and most versatile directories found online. It lists over 100,000 organic, renewable, and eco-friendly companies. They can be found in over 30 categories including restaurants, clothing, and renewable resources. Also available are less common product categories like dry cleaners, pharmacies, and burial services. For a company to be listed on Greenopia, it must first meet specific standards and then is evaluated individually. Greenopia also has an easy-to-follow layout, allows users to search by location and write reviews, and even rates all listed corporations on environmental stewardship and safety. 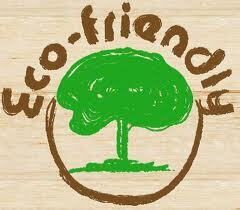 Ecodirectory is one of the few websites that allows you to search globally for eco-friendly companies. Over 10,000 organizations are listed from the USA, Canada, Australia, New Zealand, South Africa, and India. Performing a search does take a little longer with this site, however. First you must search a category, then state, then zip code to narrow things down. However, over 35 categories can be searched. 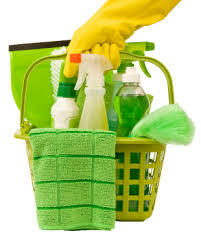 For each of these categories there are ecofriendly products, services, and companies. There are no ratings for any of these listings, but Ecodirectory does take a more open-minded approach to try to educate the consumer. Non-profit organizations are included in the searches and there are educational pages on topics like carbon footprint, global warming, environmental careers, sustainability in the office, fair trade, chemical safety, alternative energy, and resource management. GreenMeLocally is a smaller directory with fewer companies listed, but has an incredibly easy and user-friendly layout. Users can search by zip code or by one of over 15 business genres such as health practitioners, professional services, and catering. There are even search subcategories like organic bug repellent and recycled materials, and results are instant. Ample information for each organization is displayed immediately – their name, address, contact information, and website are all clearly visible and concisely organized. Also, users can browse a calendar of environmentally friendly events in their hometo wn hosted by many of the companies listed in the directory. GreenMeLocally also includes articles on volunteering and environmental activism, and an informational page for organizations interested in decreasing their own carbon footprint. 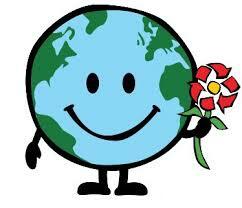 The National Green Pages makes it easy to find environmentally focused organizations. Users can browse by categories and subcategories, products, keyword, or location. Categories include clothing and accessories, transportation and travel, as well as narrower subcategories like air-purification, chemical free cleaning, and environmental consulting. Company information is displayed clearly and includes description, phone, website, email, address, and user ratings and reviews. Each company is also awarded a certification level based on environmental awareness, commitment to sustainable practices, and community leadership. The Green Plus National Business Directory aims to help small companies improve economic return through methods that are friendly to the environment. It offers a database of companies that have achieved certification for outstanding sustainability practices in three categories: people, planet, and performance. Searching these companies is easy – users can search by category, state, or simply browse a map. Categories include the usual topics as well as things like renewable resources, chemical free cleaning companies, and biodegradable waste services.Results are listed in a clear format, and clicking on a company name takes you to a company profile page with all of their information including a summary of services, address, phone, website, and social profile links. It is now more important than ever for companies to take responsibility for the effects that their actions have on the environment. Public demand for these ethical organizations is rising, resulting in more corporations changing their practices to reflect a higher degree of environmental stewardship. This increase in awareness and responsibility will directly contribute to the greater health of these individual communities, and our world overall.